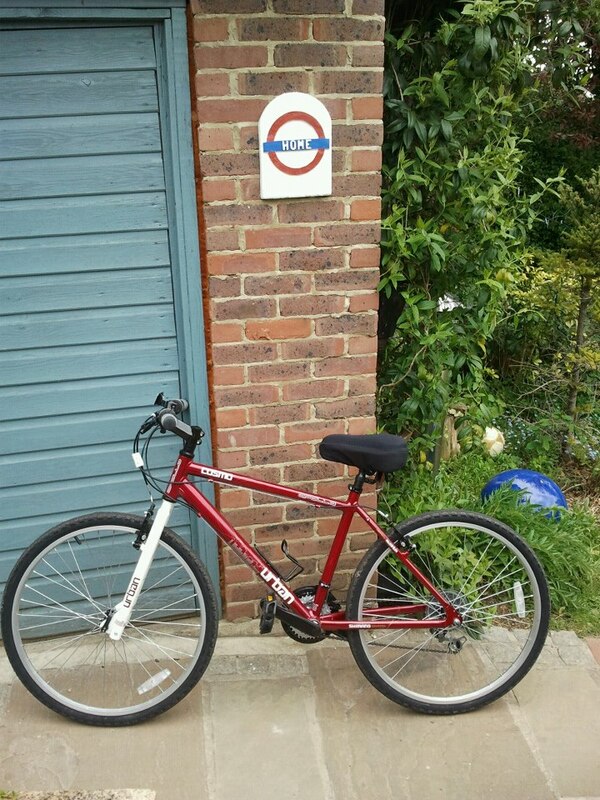 My new bike that doesn't clunk and feel like its about to collapse whilst riding! PICK ME! PICK ME! My hand is straight up on this one with the other firmly grasping it behind my head - you know like you used to do at school. I am entering my second competition on my blog (the first being a Skylander one for the kids). We didn't win, got a runners up prize of a Skylander that everyone had, still you can't win them all and generally we don't! So without further ado this is to win a family 4 day break at a Center Parcs resort in the UK. The reason this caught my eye was the cycling bit. 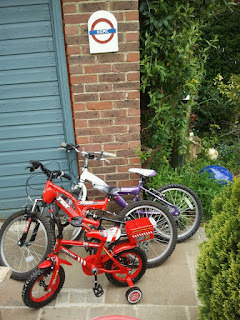 As my regular readers know, we love cycling in this family. So much so that I organised a free after school cycling club (not proficiency I'm talking proper riding your bike) with the help of British Cycling which has proved to be very popular. Its wonderful to see so many children, who don't get a chance to use their bikes in urban South London, having the freedom to ride their bikes properly. We are so excited about this years forthcoming Tour de France and whether Bradley or Chris Froome will both try and go for the title although I don't see how this is possible. In the meantime we've been watching the Giro D' Italia. I digress. The thought of having a 4 day cycle fest appealed to us very much. Plus we've never been to a Center Parcs. 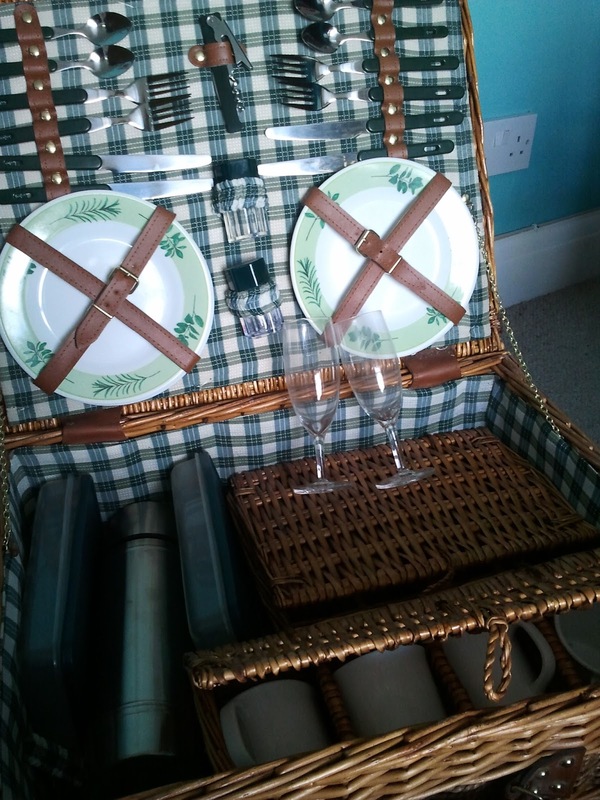 The brief, in short, is to have a picnic and blog about it. Well as it so happens myself, buddy, 'M' and her little son did have a picnic down at the farm for his 3rd birthday. Now I would love to tell you that I made a home made pork pie (even though I don't like the jelly stuff, they do look nice), fancy quiche, sausage rolls (just like my Auntie makes) and all manner of fantasy picnic fare but, alas, that wasn't the case. In fact, I reckon the fantasy picnic will happen when I'm about 50 at this rate. I do own a lovely picnic hamper which has been gathering dust in the 'lego' room for quite some time. I reckon it got an airing about 9 years ago pre-children. I have now vowed, to take it out for a jolly this summer, as it is just wasted sitting there all rejected and lonesome. I mean it even has a thermos flask - that's proper grown up stuff people. Typical though isn't it? I'm going to start using it when I'm now buggyless. Buggies are great for loading up stuff like a carthorse. I used to pride myself on the amount of goods I could carry without it toppling - now I have to carry stuff. In the absence of my fantasy picnic it was a 'tin foil all round' type affair. The food consisted of bread sticks, cocktails sausages, crisps, the token healthy option of tomatoes and cucumber, home made cupcakes (a slap dash job as his birthday cake had taken its toll) and my trusted Ryvita. Not remotely glamorous but quick and easy. We did, however, have proper mugs of tea and cappuccino from the farm shop. Now how about this! Ryvita with marmite can't say fairer than that now can I? Get us with our proper mugs! Buddy says "that way for Ryvita"
So Center Parc officialnardos please pick us and we'll give the Bradley Wiggins 'yay we won' salute! Haha - we once went to an evening of classical music, sitting on the lawn at Kenwood in Hampstead. 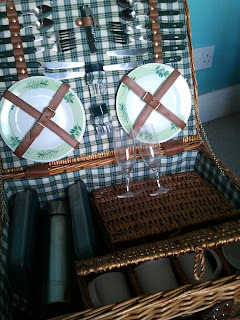 I was about 12 but couldn't help noticing that other picnics included chicken drumsticks and champagne. We had tuna sandwiches and Fanta. 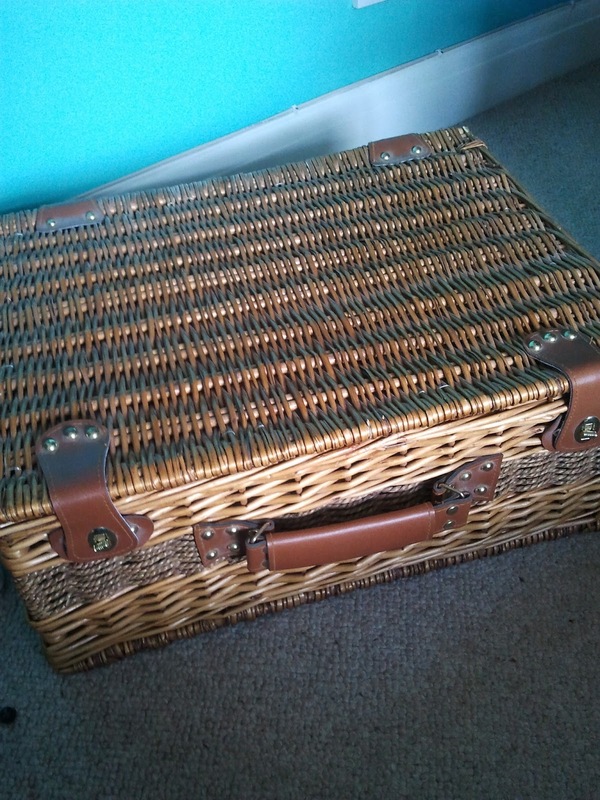 There was also a proper hamper in our attic from days gone by. I never saw it outside the attic. 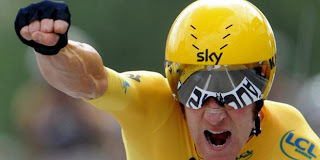 You can dress this post up with talks of picnics and cute pictures of Buddy but I know it's just an excuse to post more pics of Bradley Wiggins. You luuuurrvvveee him.